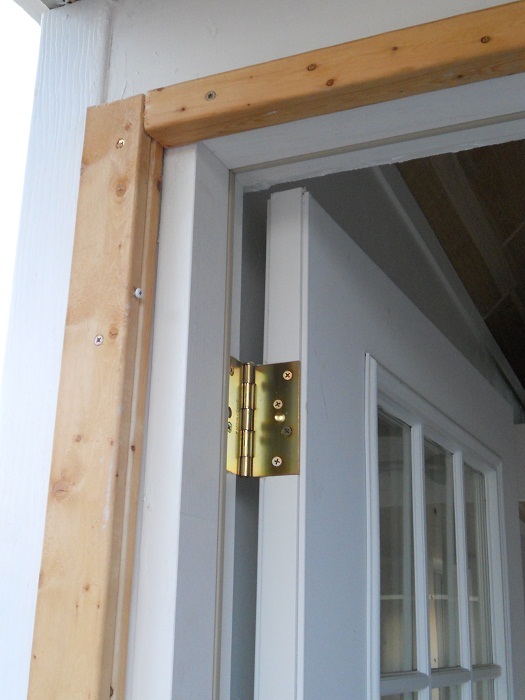 When it came time to install the storm door, I ran into a small issue: the door needed a 36″ rough opening. The front door is a 36″ door so I’d assumed the rough opening would be also. It is on the inside but the framing is smaller on the outside. After talking to customer service for the door manufacturer, I decided to frame around the door. That way, I also ended up with enough space for the handles for both the front door and the storm door. 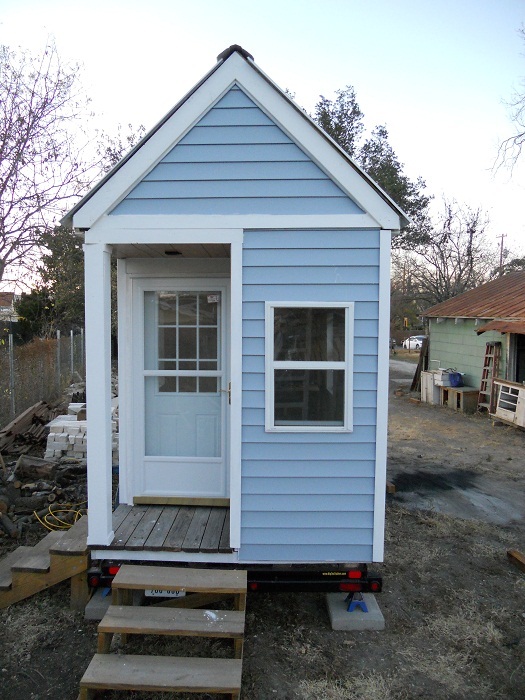 Another thing I realized in installing the storm door was that if you wanted to build a tiny house without a porch, a properly sealed storm door would solve any issue about water infiltration due to weather. I guess that’s the point of a storm door. The best feature though is that you now have a 50% screen door since it slides down. Bugs out and breeze in. It even locks should you want to leave it like that overnight. That concludes my building steps for this house. If I’ve left something out that someone wanted to see, let me know and I’ll post on it. For now, I’ll be working on the detailed plans and instructions. The gallery has been updated. If there are additional angles you’d like to see, let me know that too. This entry was posted in Building Techniques and tagged tiny house storm door. Bookmark the permalink.